When I told my girlfriend this week that my homework was to watch anime, she nearly died with laughter. Not because of it being anime, but it was because I had to watch some. Why is that funny? Well I have never been one to watch anime let alone enjoy it (unless you count Dragon Ball Z and Pokemon). Anyway, I decided I should watch something not many people would think of and this is what I found. A show called Tonari no Seki Kun- The master of killing time. This show jumped out at me while I browsed this website dedicated to streaming anime. After watching the first short episode I was hooked. This show was amazing, all it was about was 2 kids at school; Yokoi-san, who is narrating the story and Seki-Kun, the mute kid who plays around in class instead of doing his work. 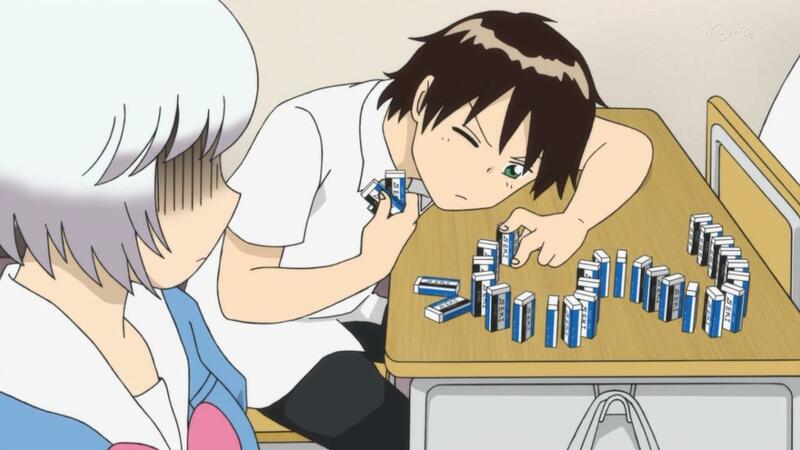 Yokoi-san is always trying to be the good student and work but ends up being obsessed with whatever Seki-Kun is doing. At the end of the show Yokoi-san always ends up in trouble while Seki-kun gets away with it. As someone who rarely watches anything not in English I surprised myself when I had watched nearly 10 episodes of the show without realising. The show kept my attention and I had to know more. 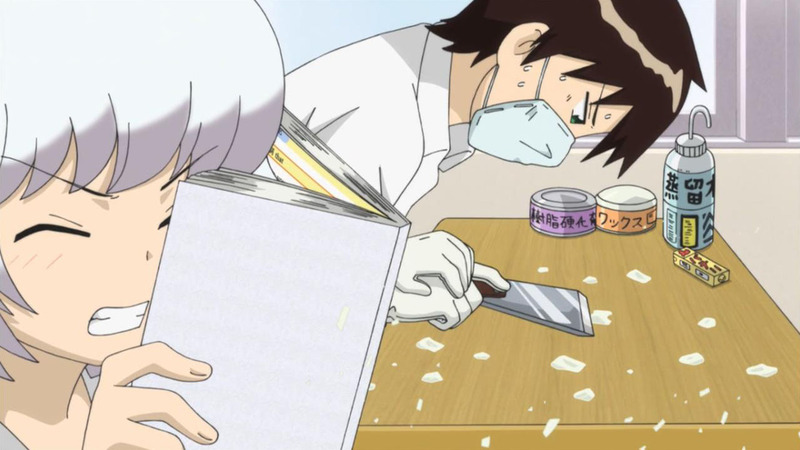 I was thoroughly entertained when Seki-kun spent an entire lesson polishing his desk and how Yokoi-san reacted and described what he was doing. The entire series is about 21 episodes and they are only 7 minute episodes. Watching this anime brought back memories of how bored I used to be in high school and how I wished I was as creative as Seki-kun. It is interesting that you were won over by anime such a short way into your first series. What do you think made you apprehensive to begin watching in the first place? Would you agree that there were personal biases and assumptions you had in relation to this form of media that kept you weary? If so, what were they? I too have suffered similar apprehension from watching anime largely because it is so different from what I am used to (very colourful and over the top), however I now consider Death Note to be one of my favourite television series of all time, and have grown to realise the foolishness in assuming their quality based off the difference of culture. I feel like I have gone into watching anime on the same page as you. I never really thought about watching it that much until now, and now that I have watched it, its not all that bad! I really like the idea of this series as I think I would definitely enjoy watching an episode that is 7 minutes rather than something really long. I have also noticed that after a while you completely forget that what you are watching is not spoken in english.